Prepare 1 envelope each of your two favorite Sans Sucre Mousse flavors, following package directions. Prepare 1 envelope of any brand non-dairy whipped topping following package directions. 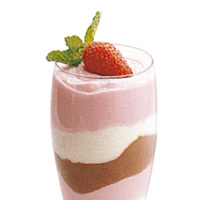 Alternate layers of favorite flavor 1, whipped topping, and favorite flavor 2 in tall parfait glasses. Garnish with fresh strawberries or shaved chocolate curls and whipped topping. Chill 2 hours prior to serving. Purchase 1 box of chocolate wafers. Prepare 1 envelope of your favorite Sans Sucre Mousse flavor, following package directions. Crumble 10 wafers into small pieces. Spoon a layer of Mousse into each parfait. Sprinkle cookie pieces on top. 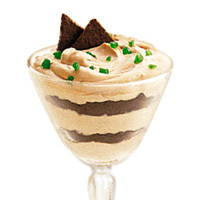 Continue layering Mousse and cookie bits until the glass is filled. Chill 2 hours before serving. Garnish with a whole wafer and whipped non-dairy topping. Prepare 4 frozen puff pastry shells according to directions. Cool. 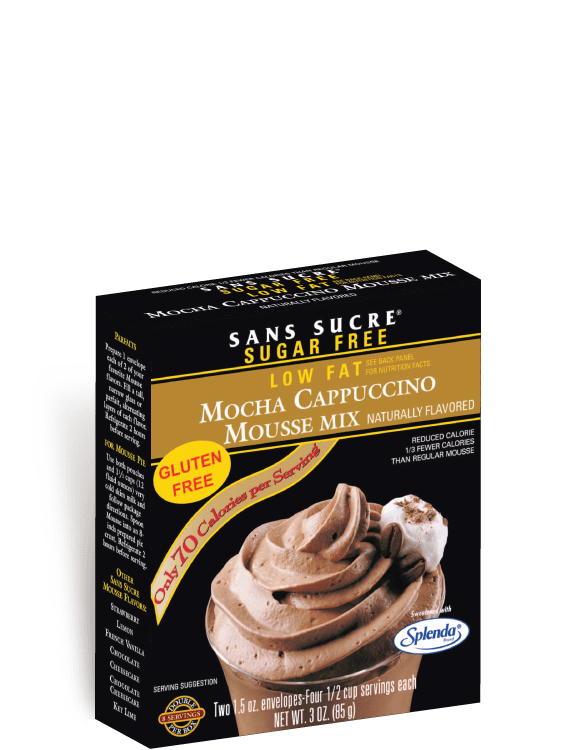 Prepare 1 envelope of your favorite Sans Sucre Mousse flavor, following package directions. Using a pastry tube, pipe into pastry shells. Top with a dollop of whipped topping. 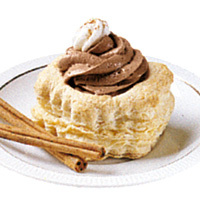 If using one of our chocolate, vanilla, mocha or cheesecake mousses, sprinkle with ground cinnamon. Chill 2 hours before serving.